Fear~Phobia Formulated for symptoms associated with fears and phobias such as agoraphobia, acrophobia, aviophobia, claustrophobia and stage fright. ORAL USE ONLY - SHAKE WELL. Ages 12 and up, take 6 drops orally (ages 0 to 11, give 3 drops) as needed or as directed by a healthcare professional. Aconitum nap. 20x, Anacardium orientale 20x, Arg. nit. 20x, Arsenicum alb. 20x, Cypripedium 20x,Gelsemium 20x, Ignatia 20x, Kali carb. 20x, Lycopodium 20x, Nat.mur. 20x, Phosphorus 20x, Sambucus nig. 20x, Sepia 20x, Staphysag. 20x, Stramonium 20x, Tarentula hispana 20x, Theridion 20x, Passiflora 8x, Valeriana 8x, Passiflora 3x, Valeriana 3x. 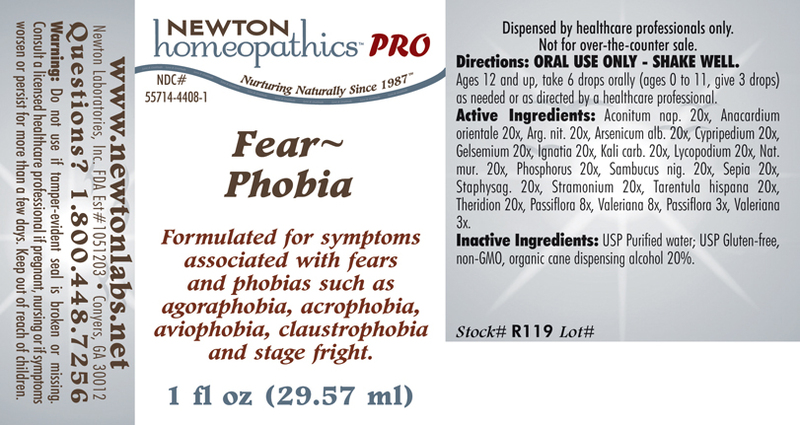 Formulated for symptoms associated with fears and phobias such as agoraphobia, acrophobia, aviophobia, claustrophobia and stage fright.